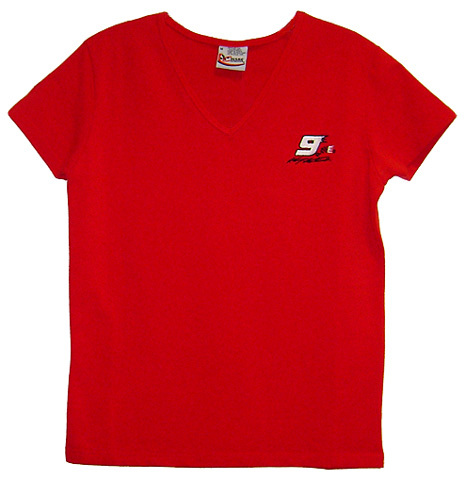 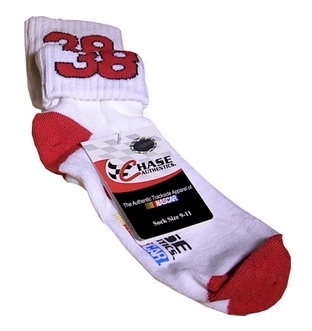 Kasey Kahne #9 Ladies Zip Hoodie, by Chase Authentics. 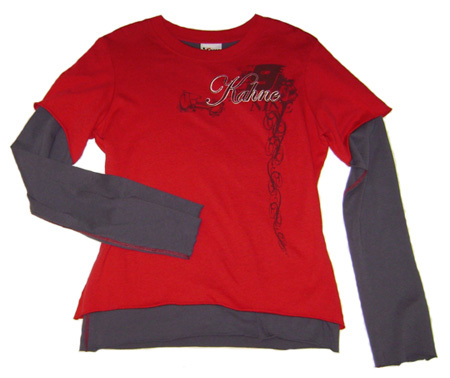 Officially licensed Kasey Kahne black ladies zipper hoodie, 100% cotton. 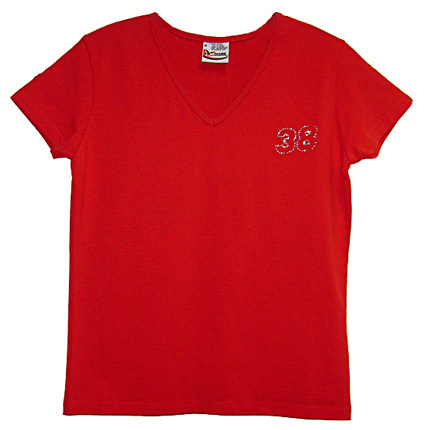 This ladies NASCAR hoodie features an awesome screenprint and rhinestone design, original retail price $64.99. 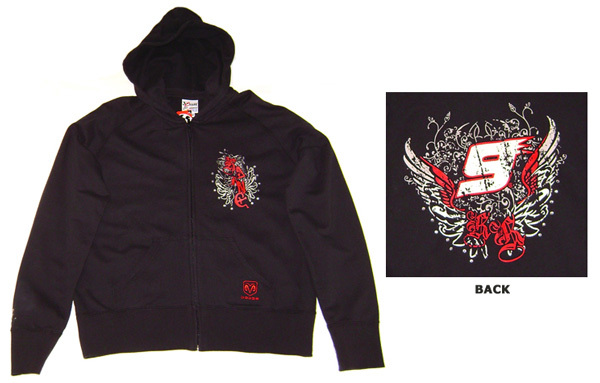 The hoodie is normal / average in size. 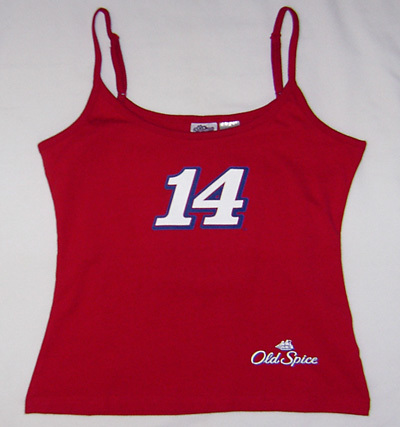 Tony Stewart #20 Ladies Floral Print Fleece, by Chase Authentics. 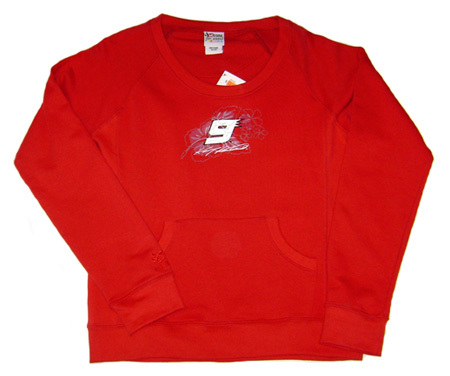 Officially licensed Tony Stewart French Terry pocket fleece, 80% cotton and 20% polyester. 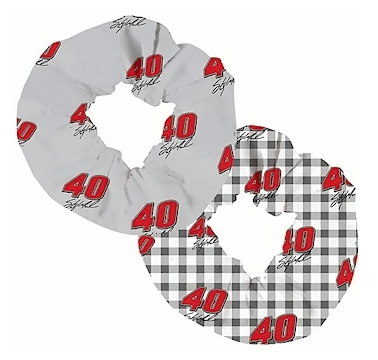 This comfortable NASCAR pocket fleece features Tony Stewart's car number and replica signature over a floral print, original retail price $39.99. 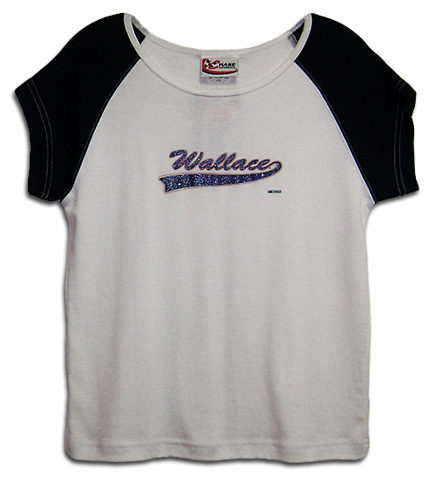 The fleece is normal / average in size. 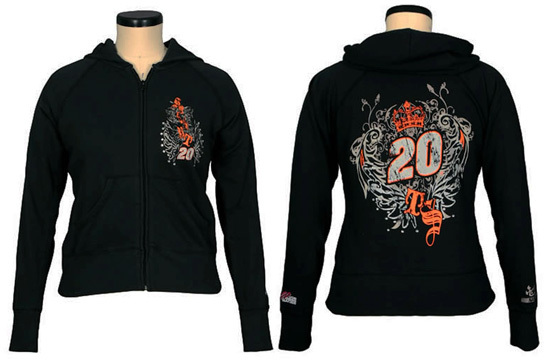 Tony Stewart #20 Ladies Zip Hoodie, by Chase Authentics. 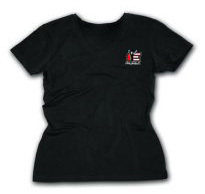 Officially licensed Tony Stewart black ladies zipper hoodie, 100% cotton. 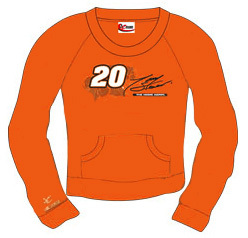 This NASCAR hoodie features an awesome screen print and rhinestone design, original retail price $64.99. 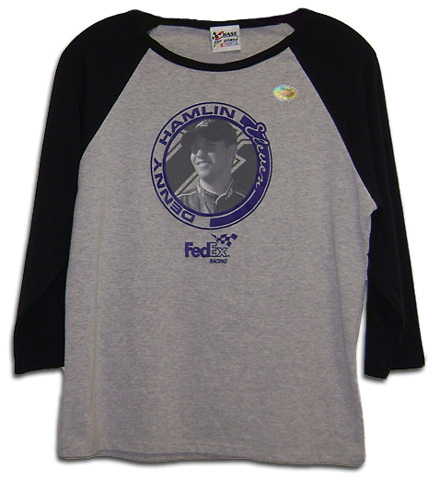 The hoodie is normal / average in size. 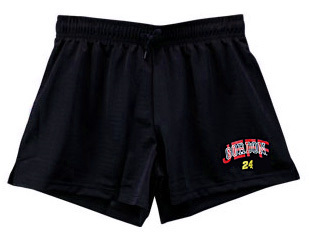 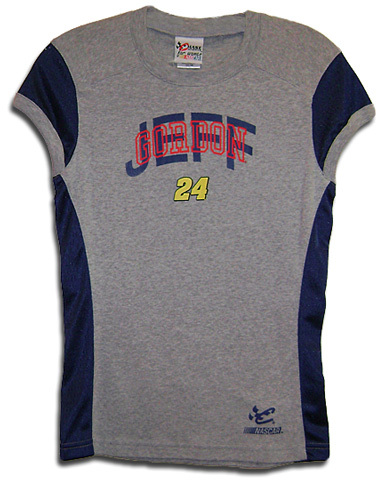 Jeff Gordon #24 Dupont Ladies Foil Enhanced Tank, by Chase Authentics. 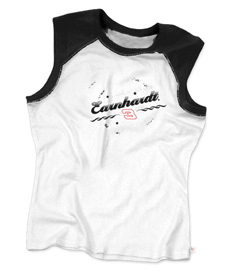 Officially licensed Jeff Gordon ladies white NASCAR ribbed tank, made of 100% cotton. 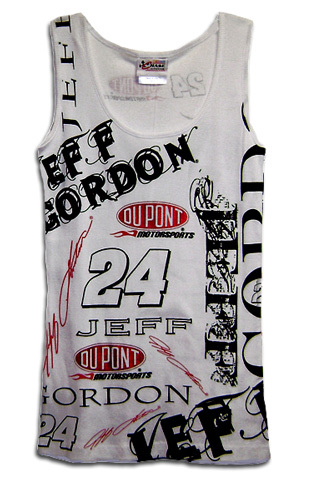 Cute, crazy and comfortable, this flattering tank is wildly printed with Jeff Gordon's name, car number and Dupont Motorsports logos. 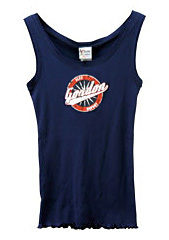 This tank is screen printed with accented foil graphics. 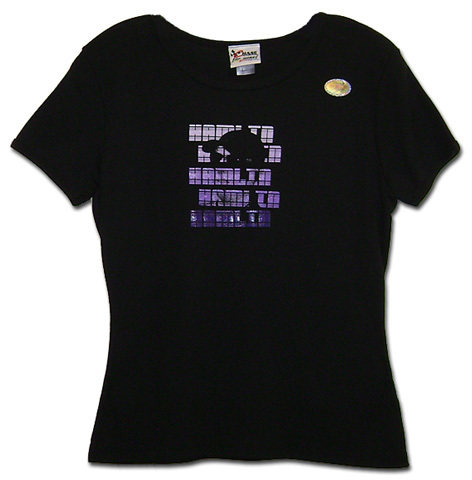 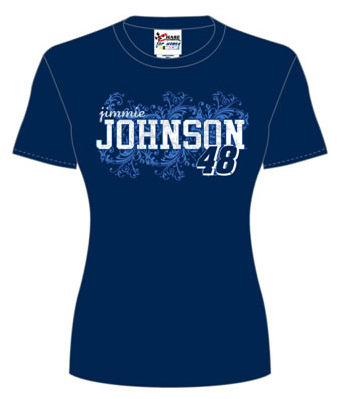 Jimmie Johnson #48 Ladies T-Shirt, by Chase Authentics. 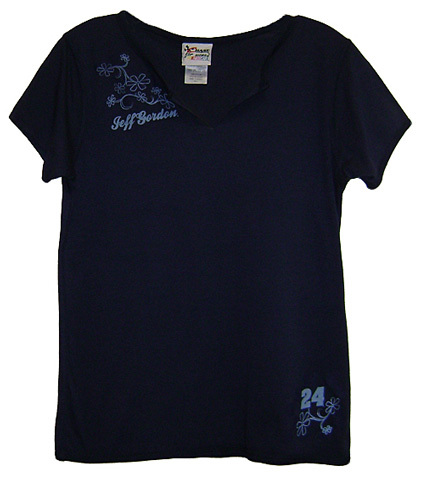 Officially licensed Jimmie Johnson short sleeve blue tee, pre-shrunk heavyweight 6oz 100% cotton. 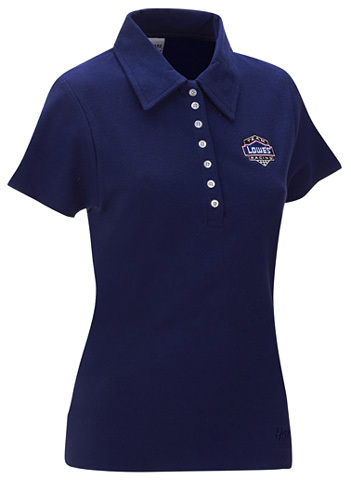 5/8" rib collar, fitted tapered sleeve with double-needle neck sleeve and bottom hem. 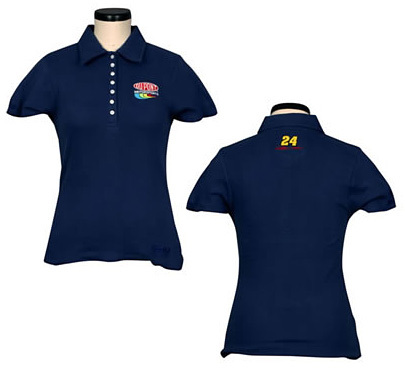 This ladies NASCAR t-shirt is normal / average in size and is not form fitting.